to peel till we find the stem. If it is hard and not able to peel further, that is stem. water always in order to avoid darkness. Just stir the chopped banana stems with the fork to remove the excess fibers. Once onion gets translucent, add chopped banana stem and stir it. one minute with low flame. That's it. Now we made banana stem poriyal. Try and post your comments and suggestions below. Share to your friends. Food - During the first three months of pregnancy! Women who are pregnant should be very careful during the first three months. There would be lot of possibilities for Miscarriage occurs in these times. So pregnant women, needs to have extra care with respective to eating foods and actions. Women will be recommended to eat good healthy foods by doctors. In the first three months of pregnant, women should eat foods which are high in protein and calcium. Because, these nutrients increases the growth of the fetus in the womb. Particularly protein helps to stabilize the growth of the fetus and, calcium helps to baby's bones strong. OK, Let's see what all are the foods pregnant must take during the first three months!!! Spinach is high in calcium and iron. So, if expectant eats this, mother's body produces large amounts of blood and blood flow to fetal will increase at a higher level. Almonds are rich in Vitamin E, omega-3 fatty acids and protein. Therefore, pregnant women eating almonds helps to provide needed protein to the fetus. Chicken meal, a safe for pregnant women. If you have enough chicken in the diet in the first three months, it will avoid morning faint and languid. Also, Iron in the chicken will help to increase in blood flow in the body. It wont be enough just to eat foods rich in calcium. To absorb the calcium, Vitamin D is required to the body. Asparagus is rich in Vitamin D. Moreover, Vitamin D will avoid unnecessary morning unconsciousness. Nowadays Many of us not opting ladyfinger in our diet. But there are a lot of nutrients in it. Folic acid is very important to health. This help to better walk. Moreover, it will prevent diabetes for pregnant women. Orange fruit are rich in vitamin C, which increase the mother's immune system, and prevent from the disease. Folic acid in it helps to avoid baby birth troubles. Benefits of broccoli are lot. Iron in it helps to increase the blood flow. It is known to everyone that eggs are rich in protein. Therefore, eating 2 eggs daily will help to provide protein to pregnant women as well as the baby. Generally, Fish is rich in Ome-3 fatty acids, calcium and vitamin D. So eating fish is good for pregnant women. Especially Salmon Fish has these nutrients better than other fish varieties. One of the dairy product yogurt is rich in calcium. Sometime some women feel heartburn or chest burn during pregnancy. To allay such annoyance, its good to eat yogurt. You can able to see this cabbage poriyal frequently in any of the function food or restaurants along with meals. Ultimate reason is cabbage very cheap in the market, less time consuming to cook and it is easy to make. Also another reason is, it will be more quantity even if we cook just ½ kg of cabbage. But don't under estimate, this is one of the very healthiest recipe. So lets make cabbage poriyal now. Heat 2 tsp of oil in a pan. Once oil hot add mustard seeds and urad dal. When mustard stars spluttering, add Chana dal, green chilli and curry leaves and fry it. Once Chana dal become golden color add chopped cabbage and stir it. Keep stir for 1 to 2 minute then add turmeric powder, salt and stir it for a minute. Sprinkle some water and cook for another 5 minutes. Before turning off the flame add grated coconut and garnish with coriander leaves on top. Now cabbage poriyal is ready to serve. This Castor harvested across Tamilnadu and some other part of India. The leaves look similar to human hand and the plant is some kind of white coated. It has hollow shaft. Three seeds will be with the each bean. 1. The leaves and oil are medicinal instructive. 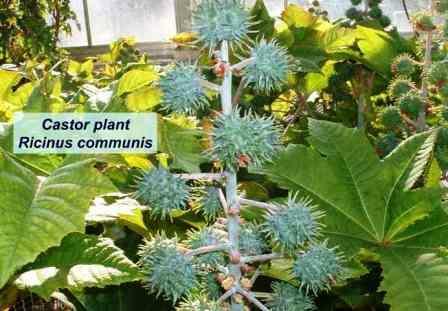 Its leaf can be used to cure tumor and inflammation. Its oil helps to cure constipation and bring down the body heat. 2. To cure piles, Osteoarthritis, Rheumatic swelling needs to do dressing with chopped Castor leafs which is fried with little ghee. 3. To cure hot stomach pain need to do dressing on belly button with young castor leafs which is fried with little castor oil. 4. Take equal ratio of castor leafs and Phylanthus Amarus (Keezhanelli) leafs and make it to smooth paste. Taking 30g of this paste everyday morning will cure jaundice completely within 4 days. 5. Taking 30ml of castor oil with little cow milk or ginger juice will make 4 to 5 of Diarrhea in a day. But this will cure Loss of appetite, abdominal pain, urinary tract inflammation, Diagnosed cuts ,dysury, menstrual disorders, rough cough, healed blisters, throat infections, Joint pains. 6. When having eye pain or some dust going inside eyes just drop one or two drops of castor oil in the eye like eye drops. Pain will go out immediately and dusts will come out automatically. 7. Doing dressing with ground paste of castor seeds after removing the shell will cure unhealed ulcers, lumps. Also, it will help to cure inflammation due to the Arthritis. 8. Dressing with Ground castor root cleanses toothache. 9. Spray little ghee on the castor leaf and slightly broil. Dressing this leaf on the breast will help to produce milk. This is a great recipe that can be made easily, healthy and tasty. Perfect breakfast or can be served as evening snack. You can choose your vegetables like Mushroom, beans, carrot, green peas as well. You can add spinach as well. If you chose beans, carrot, green peas etc, just fry them in a pan by adding 1 tsp of oil separately. Crack the eggs in a separate bowl and add little salt and beat them. Add chopped onion , tomatoes , capsicum , green chilli and coriander leaves and beat with egg. If you have fried vegetables add them as well. Heat a pan and spray 1 tsp of oil. Add 1 big spoon of beaten egg mix and spread on the pan. Once one side of omelet cooked, gently flip to other side. Now put the cheese slice on one side of omelet as the snap and fold. Cook in low flame and keep flip gently both sides. After few seconds cheese will melt and spread out on the omelet. Now the tasty , healthy and mouth watering vegetable cheese omelet is ready to serve. Try and post your suggestions and comments below. Share to your friends. Not only cold will make trouble during rainy season. Mosquitoes produced from Stagnant water as well will disturb!! In addition, it will spread many and different kinds of diseases! 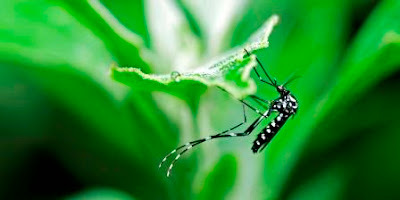 To escape from these mosquitoes we are using variety of chemical pesticides. All of these are poison. But this become part of everyday use. Mosquito coil, mosquito repellent liquid are not intended as any man's daily use. These are made for using in Western countries whenever there is heavy rain. The usage would be just one or two days there. In other days they wont even touch. But we simply use them on daily. This is causing for Asthma, tiredness, breathing trouble and some other health problems. Especially it will impact kids and old people. Instead of using these pesticides, we can overcome from mosquitoes by using natural remedies. Little Vitex leaf, neem leaves and frankincense just enough to avoid mosquitoes. Just making smoking haze with these items will make breathing trouble to mosquitoes, make unconscious and finally it will kill them. This is called knock-out poison. In this method we can kill even the mosquitoes which is spreading Malaria completely. This is the reason our ancestors keep Vitex and neem leaves always in home. It was used as the best disinfectant. But In time, even in villages that once disappeared. Studies proved that our ancestors medicines are better than the chemical medicines which we are using nowadays. So we can also start follows natural medicines. Raw banana dry is one of my favorite recipe. 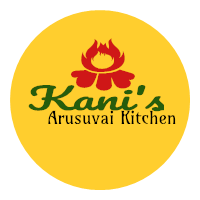 It is very easy to make and it goes will with Sambar, Rasam and Curd rice. I just tried with peanut today and it tastes yummy. Heat a pan and fry peanuts without oil until golden color. Bring to cool down. After cooling down, make it to powder. It should be coarse. Remove the skin of plantain and cut into pieces. After cutting, put the pieces into water contained bowl in order to avoid getting dark. Heat 3tsp of oil in a pan and add mustard seeds, Urad dal and cumin seeds. Once mustard starts spluttering add slit green chilli, curry leaves and onion and fry it till it become translucent. Then add cut plantain and fry it. After raw smell goes out add red chilli powder, coriander powder, pepper powder and turmeric powder and keep fry for a minute. Later add ½ cup of water and cook plantain for 3 to 4 minutes. Then add the peanut powder and mix it. Stir it in the medium flame for 15 seconds. If you want, add grated coconut as well about 2 tsp. Its completely optional. Now the tasty plantain dry is ready to serve.